Are you an avid golfer or you just like to play golf sometimes ? 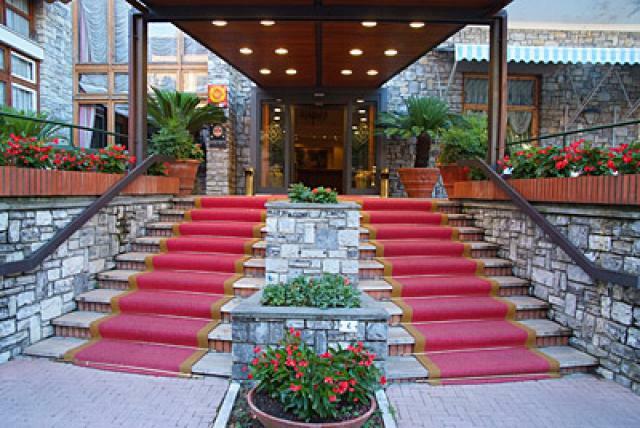 Hotel Tamerici & Principe, placed in Montecatini Terme, is the right choice. As an honorary member of Montecatini Golf Club, we offer special conditions for our guests. Furthermore, our position is perfect to reach quickly several Tuscan courses. This offer includes a two nights of stay, an entrance to our "Thermarium”, a Green Fee at Montecatini Golf Club and a dinner at our restaurant. All this at a starting price of just € 180 per person. In order to discover this offer, Click Here! "Golf & Wellness” includes 3 nights on half board where you can combine sports activities to wellness. Discover all the informations about this package Here! "Golf Tour” consists of 5 nights stay and offers three green fees on different fields, namely the Montecatini Golf, Golf Club Tirrenia and the Ugolino Golf Club, all at about one hour from Montecatini Terme. When you are not playing, you can relax with wellness treatments and delicious dinners. All the details are here! The Golf Week offer is perfect for exploring the best Tuscan courses: With this formula you’ll have 4 green fees divided on Montecatini, Tirrenia, Le Pavoniere and finally Ugolino Golf Club Click here for all the informations! For small groups, of at least 6 players, we can offer special prices: contact us for a private offer! Golf Club "La Pievaccia" is immersed in the Tuscan countryside and the track is characterized by fast greens and challenging slopes.